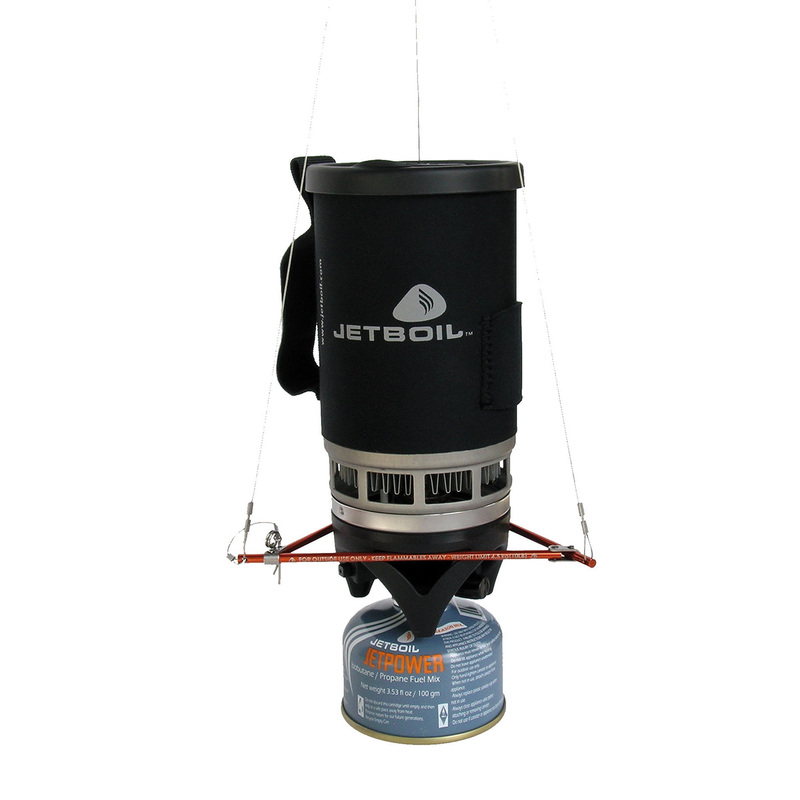 The Jetboil Suspension Kit is the ultimate accessory for Jetboil stove owners who need a hanging system during big wall missions and backcountry ski mountaineering adventures. When you just don’t have a good cooking surface, or it’s not safe to balance a stove, the Jet Boil Hanging Kit attaches securely to your burner and allows you to cook up a storm in the most extreme environments. •	Compatible with PCS, Zip, Flash, Flash Lite, MicroMo, MiniMo, Sōl, Sōl TI, Sumo, and Sumo TI cooking systems.